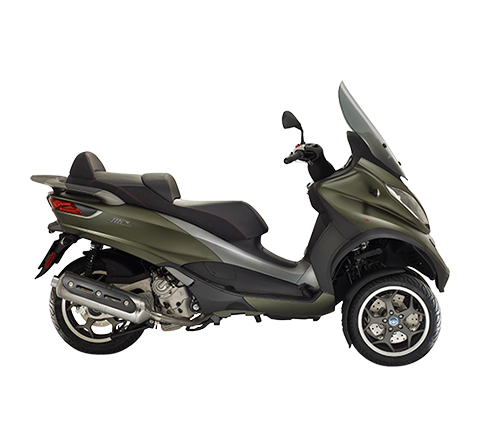 Derbi, the Spanish brand of the Piaggio Group, offers a range packed with sports oriented models for 2010. The sporty GPR 50 2-stroke and GPR 125 4-stroke have been created for younger riders who want to own a proper bike with a small capacity engine. The Senda DRD 125 R (enduro) and 125 SM (supermotard) off road bikes come equipped with top-end features. The Rambla, the sportiest scooter by the brand from Martorelles, gets an ecological, eager and powerful new 300 cc engine. Madrid, June 11th, 2010 – The Derbi, the historical Spanish brand that has made a name for itself as a winner in the 125 MotoGP class, has presented its new 2010 range at Madrid: the Senda DRD 125 4-stroke, offered as R (enduro) and SM (supermotard) variants, the GPR 125 4-stroke and GPR 50 2-stroke sports street bikes for novice riders, and the new Rambla 300ie scooter, powered by a 22.5 hp electronically fuel injected engine. Guest of honour at the presentation was Pol Espargarò, the young Spanish rider who won two GPs last year with Derbi and is currently in the running for the world championship in the 125 cc MotoGP class. With its new range of 50 and 125 cc bikes, Derbi confirms its leadership in the European small capacity segment by offering four new models for novice riders who want to own a proper bike with a small engine that delivers sportiness and performance, combined with – thanks to the new 125 cc 4-stroke and 50 cc 2-stroke engines – outstanding fuel economy and reduced emissions. 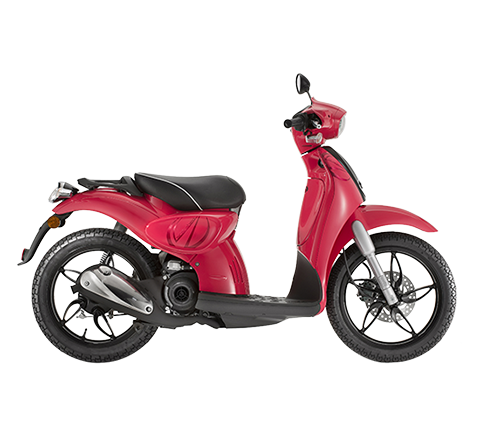 The new Rambla 300 is intended for a more mature user looking for the performance and sporty style of the Derbi brand without sacrificing the typical comfort and versatility of a scooter. 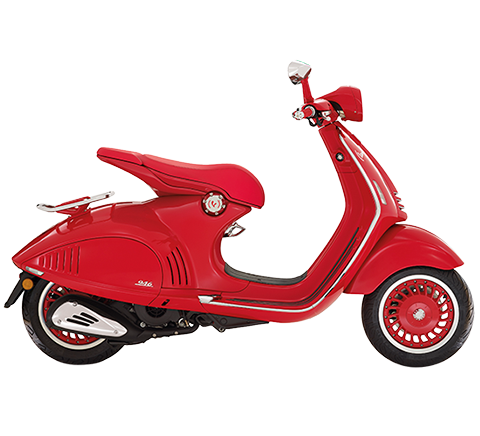 Founded in 1922 and a member of the Piaggio Group since 2001, Derbi – the historical Spanish brand based in Martorelles-Barcelona – has always embodied sportiness. The brand is currently competing in the 125 cc MotoGP class with the riders Pol Espargarò and Marc Marquez (respectively second and third in the leaderboard), and won the last three races in the season. Derbi has a glorious history of success in motorsports, with an impressive 19 world championships (11 riders' championships and 8 constructors' championships) and 96 GP wins to its name. DERBI GPR 125 4-STROKE and 50 2-STROKE. Derbi GPR is the most advanced bike in its class, boasting technological solutions usually available on bigger capacity sports machines only. The latest descendent of the legendary “Balas Rojas”, Derbi GPR stands apart in the small sports model segment for its unique attributes, and the 125 4-stroke version (boasting the engine with the best performance and lowest environmental impact in its class) is now joined by the revised 50 cc version, created for novice riders who want their first experience in the motorcycle world to be in the saddle of a state of the art machine. The most spectacular features of the new Derbi GPR are its die-cast aluminium double cradle and all-new fairings, with soft, sculpted lines flowing from the headlight and tapering away in the exquisitely designed tail fairing. 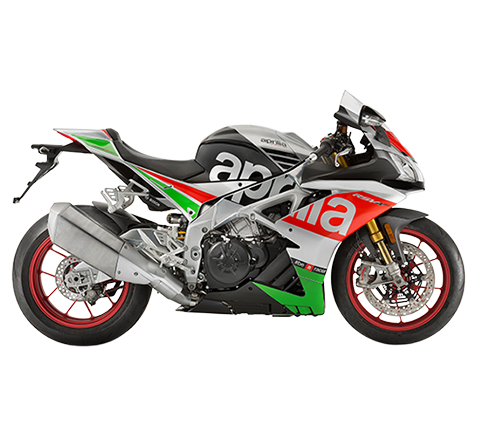 The front brake system is seriously powerful: with a 300 mm disc gripped by a 4-piston radial calliper (fitted on both versions), while the rear wheel is stopped by a 220 mm disc (218 mm on the 50) with a single piston calliper. The new Derbi GPR 125 4-stroke is available in black or white, while the Derbi GPR 50 is available in black/yellow and black/blue. The new Senda DRD 125 4T represents the technological state of the art in the 125 cc 4-stroke off-road bike category, and is available in R (Enduro) and SM (Supermotard) variants. Both versions feature a sophisticated dual beam frame in high strength steel. Setting the R and SM versions apart are the wheels and brakes. 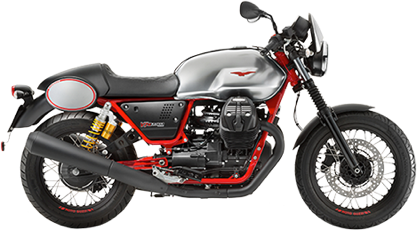 While the Senda DRD R enduro model is equipped with a 21” front wheel and an 18” rear wheel, shod with off-road tyres, the SM supermotard runs on 17” wheels at the front and rear, fitted with street tyres. Senda DRD SM has a 260 mm wave type front disc, while the R version features a conventional 300 mm disc. The rear brake on both bikes is a 220 mm disc. 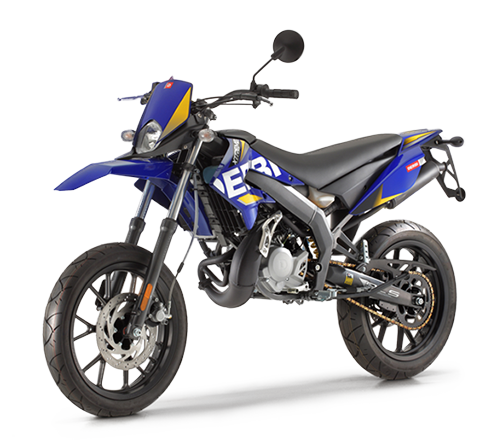 The new Derbi Senda DRD 125 4-stroke bikes will be available in blue and black (R) or black and white (SM). The sports scooter from the Spanish brand grows in power and size for 2010: Derbi Rambla now gains a powerful 300ie engine, joining the renowned 125 cc version to offer a more mature variant of the sporty urban scooter. Derbi Rambla embodies the contemporary style and dynamism that have always distinguished the models of the sporty Barcelona-based brand: characteristics that are further confirmed by the all-new 22.5 hp 300ie engine. 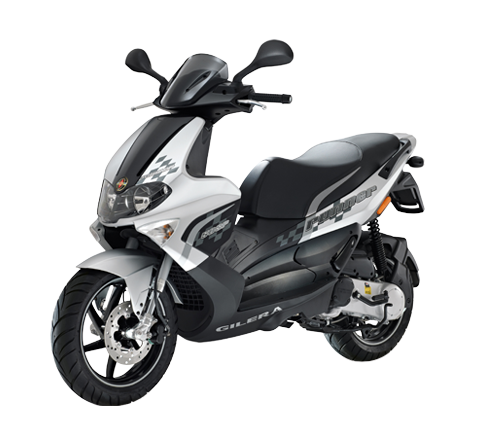 Derbi Rambla 300ie and Rambla 125 are available in black, white and grey.